* The effective sectional area of the single-layer design ranges from 50mm2 to 83mm2, suitable for rated voltages of 66kV, 115kV, 150kV, 250kV and 275kV. * The effective sectional area of the double-layer design ranges from 90mm2 to 200mm2, suitable for rated voltages of 150kV, 250kV, 275kV, 380kV and 500kV. * The effective sectional area of the three-layer design ranges from 200mm2 to 400mm2, suitable for rated voltages of 380kV, 420kV and 500kV in European markets. 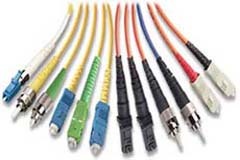 • Optical unit placed inside the Aluminium tube provides exceptional mechanical and thermal protection for the fiber against severe environments and external lateral force. 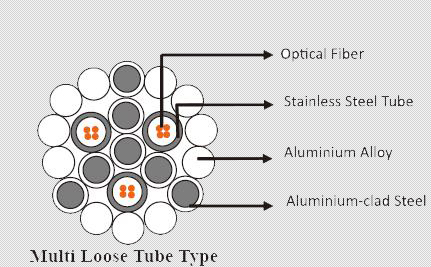 • Thick walled Aluminium tubes provide hermetic seal for optical units, providing excellent crush resistance and low resistivity. • High load, long span capability.